This is a very broad and multi-disciplined project dedicated to the development of value-added products from the stalks and waste cotton left in the field after harvest. North Carolina harvests approximately 1 million acres of cotton per year yet is counted tenth in US production. 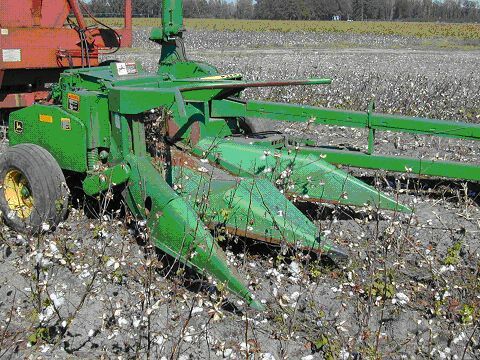 The current no-till and stale row cotton cultural practices dictate that the parts of the plant left in the field after harvest be thoroughly shredded. The rank size and amounts of waste cotton left makes this a difficult and often messy process. Harvesting and removing the stalks from the field is a much better alternative provided a market for the material can be found. At present, four potential products are being investigated. The first is a non-woven erosion control mat. This material is being developed by a cooperative effort with Dr. Behnam Pourdeyhimi, director of the Nonwoven Cooperative Research Center in the North Carolina State University College of Textile Engineering. When enough of the material has been made, it will be tested at a number of construction sites both on and off campus. The second product is the conversion of the shredded material to fuel alcohol. This work is being investigated in cooperation with Drs. Mari Chin and Ratna Sharma of the Department of Biological and Agricultural Engineering. The third product is special purpose paper. In a cooperative effort with the Department of Wood and Paper Science, samples of the material were converted to an unbleached, strong yet biodegradable paper. Further, a large specialized paper mill in Western North Carolina has shown interest in the use of the material in one of their products. A forth product being investigated is fireplace logs. By combining the shredded material with paraffin, a product of superior burning characteristic is obtained. Research on all these products and possibly others will be accelerated in 2004. 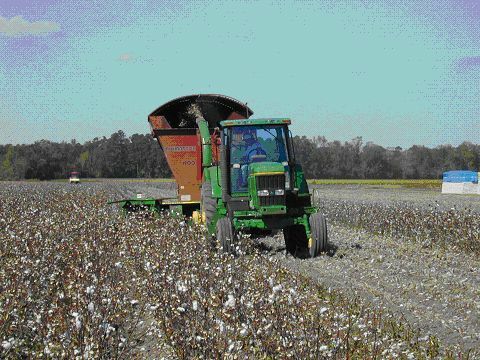 During the fall of 2003, approximately 15,000 pounds of cotton stalks were harvested by the simple use of a two-row silage harvester. Part of the material was baled in 500-pound bales and brought to Raleigh for further investigation. The rest of the harvested material was formed into a module using existing cotton harvesting and handling equipment and stored in Kinston, pending further need. Since this investigation has just started, there are no results yet. Because of the scope of this project, a great number of enthusiastic people have been directly and indirectly involved. Not the least of which are the growers, since this project involves discovering and developing a market for a product that currently has no value. It is also particularly appealing as it does not require any more land, fertilizer, or major equipment investments or any alteration of existing cultural practices. • Southern Sides: What’s Your Favorite? How About Mac and Cheese! 4th Annual Southern Sides Competition, BBQ Festival on the Neuse!